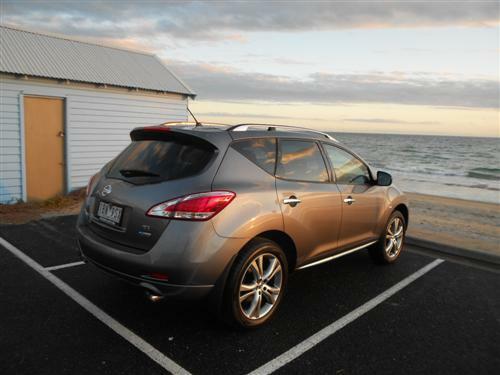 The Murano has served Nissan quite well over the years. In fact, past examples of this larger SUV have endeared the model to the Next Car team. The final update of the current generation occurred earlier this year ahead of the next generation model coming along next year. 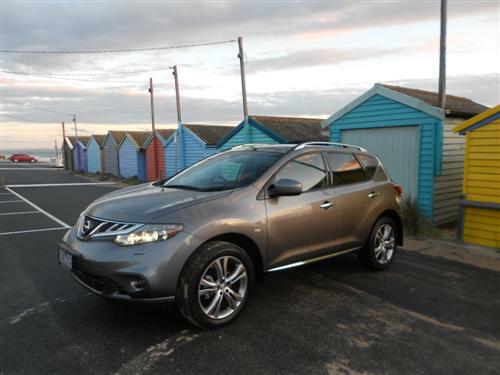 Whilst never appearing on the best-seller lists, the Nissan Murano steadily moves out of the showrooms and into happy motoring scenarios. A thorough review of the Murano's specifications and a comprehensive driving experience demonstrates just why this model is so pleasing. 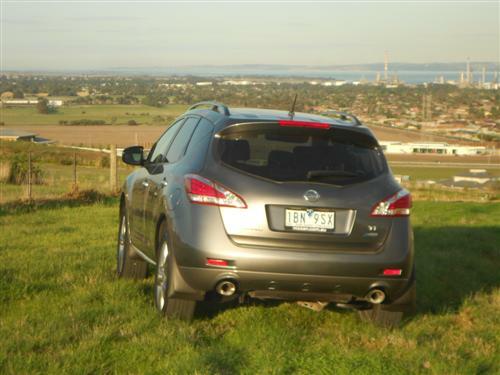 The test car was the Nissan Murano Ti, the top of the line in the two model line-up. The smooth and quiet on-road manners of the Murano are immediately noticed and this aspect is the one point that ensures that the Murano retains its prized reputation for NVH management. Interior design is another highlight for the Nissan Murano. It is roomy and comfortable. The front seats are somewhat flat, lacking the typical side and thigh bolsters that are often specified in today's upmarket models. 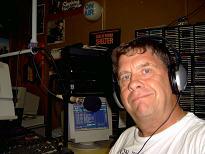 That said, you can be sure though that comfort is very pleasing as I discovered during 432 kilometres in this car. The four-way electrically adjusted steering column is a wonderful feature when you have several drivers using the car. So, too, is the keyless entry/start. The foot-operated parking brake works well but it does seem to be a relic of the past considering the widely accepted electrically-operated parking brakes are almost a common fitment these days. The cruise control is excellent and it includes a speed management feature. 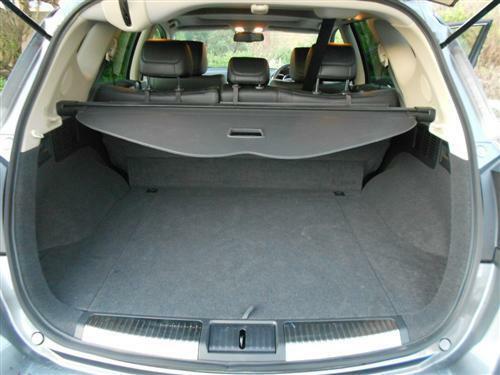 An automatic tailgate is a great feature in this class of vehicle and the Murano's works well as I discovered on several occasions when using the boot. A cargo blind is fitted. 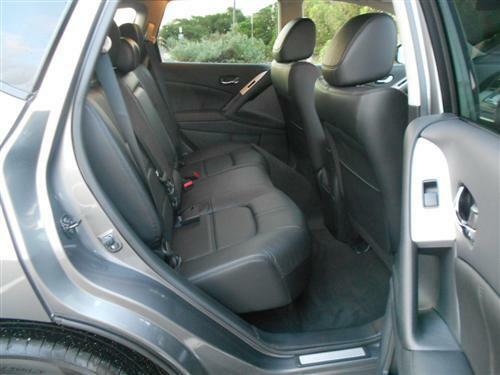 It is worth repeating that the Murano has excellent interior space for a vehicle in this market segment. The roomy interior even has more than adequate foot space upfront, a design feature that isn't available in all vehicles. The high seating position will appeal to many occupants. It isn't a burden to get up into the Murano for some-one of my size but the Murano is getting very close to be being at the maximum size for easy entry/egress. The all-aluminium V6 has 3,498cc to provide 191kW of power @ 6,000rpm and a maximum of 336Nm of torque @ 4,400rpm. Intelligent ALL MODE 4x4 system with 4WD Lock Mode is standard and this includes Vehicle Dynamic Control (VDC), Active Brake Limited Slip (ABLS) & Traction Control System (TCS). 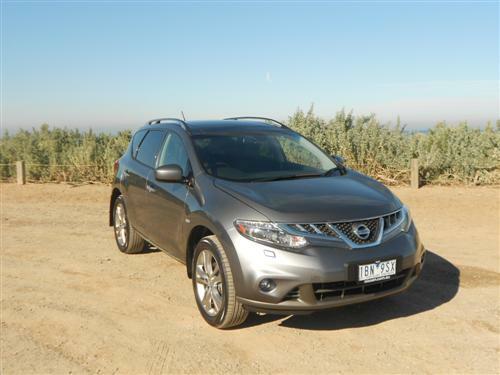 The transmission is a constantly variable unit (CVT) which provides very smooth operation in the Murano. Steering is a hydraulic power assisted unit. 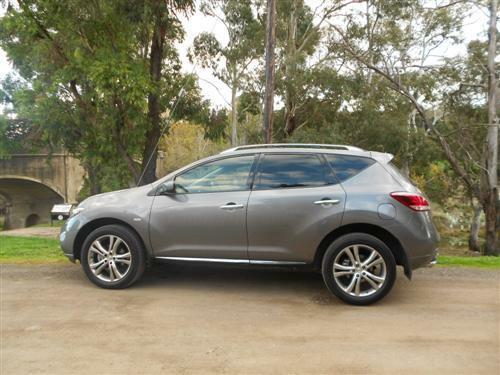 Turning circle is 11 metres (approximately), an excellent figure for a vehicle as large as the Murano. The four-wheel ventilated disc brakes are standard. Twenty-inch alloy wheels are standard on the new Murano Ti. Factory figures indicate the 'combined cycle' fuel consumption rating is 10.9 litres per 100 kms. The onboard trip computer indicated that we consumed 8.5 litres per 100 kms during our 432 kilometres. Our low figure reflects freeway driving of approximately 200 kilometres and a further 100 kilometres on highways. That said, nothing detracts from the clear evidence that our low consumption figure is quite impressive for a cross-over vehicle this size. The Murano runs on premium unleaded petrol (95RON or higher). Standard: Bose® Single CD player with AM/FM radio, 7" integrated colour display and MP3/WMA compatibility and 11 speakers, including 2 subwoofers; RGA Video and USB input jack (video in NTSC standard only); 9.3GB music box hard drive; Steering wheel audio controls; HDD Satellite Navigation with 3D mapping and 7" integrated colour display with touch screen and steering wheel controls; Bluetooth hands-free phone system (for compatible devices); iPod+ connectivity (or USB storage device) via USB connection. Satellite navigation is standard in the Ti. Standard: Six airbags; Vehicle Dynamic Control (VDC) including Traction Control System (TCS); Active Brake Limited Slip (ABLS); Anti-lock Braking System (ABS); Electronic Brakeforce Distribution (EBD); Brake Assist (BA). Murano Ti includes safety technologies such as Blind Spot Warning, Lane Departure Warning and Moving Object Detection. Blind Spot Warning alerts drivers to the presence of other vehicles travelling in their blind spots. It delivers a sound alert and ‘warning indicator’ fitted to the Murano Ti’s passenger-side mirror. Lane Departure Warning makes certain a moment’s distraction doesn’t become a catastrophic error by ensuring that the driver does not unintentionally drift out of their lane. Should they veer off their intended course, the driver will be instantly alerted by both a display indicator and an audible warning. Moving Object Detection automatically engages whenever the Murano Ti is in reverse, activating the rear view monitor to show what’s behind the vehicle on the display screen and giving both a visual and audio alert to any objects that move into the Murano Ti’s path. Importantly, a reversing camera is standard. I would like to see more vehicles include this piece of equipment as a normal fitment for the improvement of both safety and convenience. Tight parking spaces in apartment blocks and hotels make a camera highly desirable as every centimetre counts in some manoeuvring situations. Subject to the fitment of suitable towing equipment, the Murano can tow a trailer with brakes up to 1,500kg and without brakes a 750kg limit is applicable. A 3 year/100,000 kms warranty, Capped Price Service and 24-Hour Roadside Assistance Programme are included with Murano (conditions apply with these items). A Nissan Extended Warranty is available as an option. 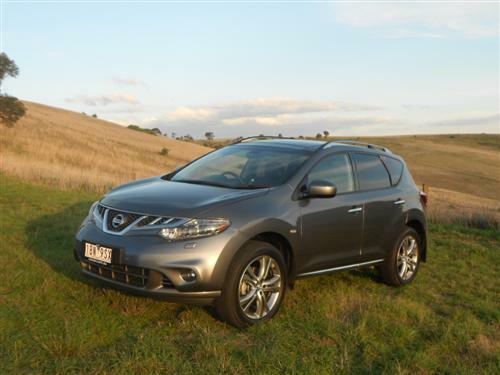 There is no hiding the clear fact that the Nissan Murano Ti is a thoroughly pleasing SUV. When a car is as smooth and as quiet as the Murano Ti then you just cannot be dissatisfied. The design of the Murano ensures space is more than adequate for this class of vehicle and the comfort is particularly satisfying. 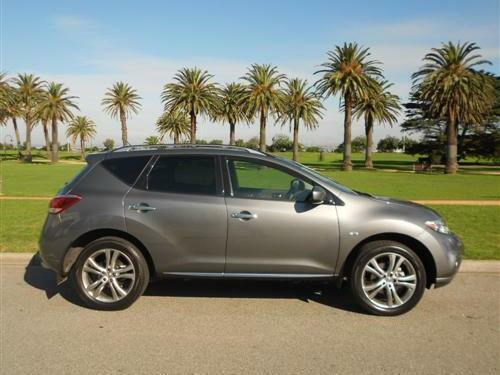 The Nissan Murano is more than competitive in the larger SUV class. If Nissan think that next year's new generation model is going to better than this current edition of the Murano then they have plenty of fast talking to do ..... because this model Murano is a superb vehicle which needs little in the way of improvement in my opinion!